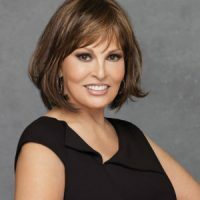 Spotlight by Raquel Welch is a long, layered and natural looking wig. Perfectly cut layers give Spotlight movement and body. Made with the Tru2Life heat-friendly synthetic fiber, your styling options are limitless. Wear it straight, curly, or add the perfect wave. The lace front creates a natural looking hairline and allows for styling hair off the face. 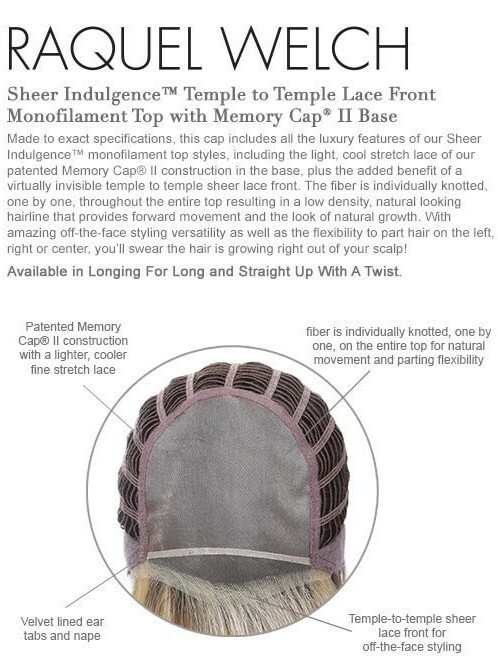 The monofilament top creates the appearance of natural hair growth and allows you to change the location of the part. And the open wefts in the cap creates better ventilation, which provides coolness on the scalp. It’s breathable and lightweight for a more comfortable fit. Spotlight is one of our best-selling and most popular styles. Memory Cap Base – A memory cap that actually memorizes the shape of your head to give you the ultimate in light comfort and fit. Tru2Life Heat Friendly Fiber – Looks and feels like human hair and can be styled with heat tools. Raquel Welch is wearing RL31/29.